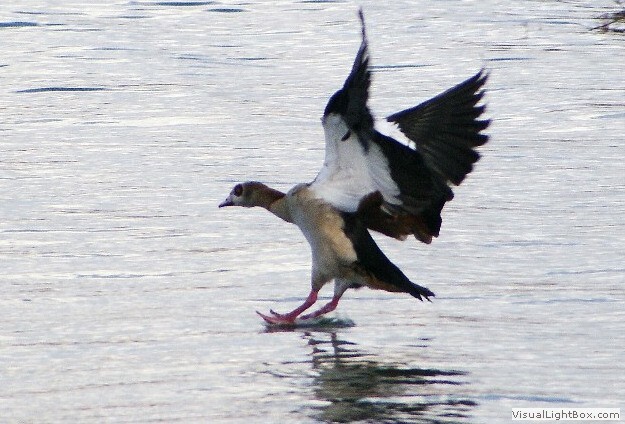 Identify Egyptian Goose - Wildfowl Photography. 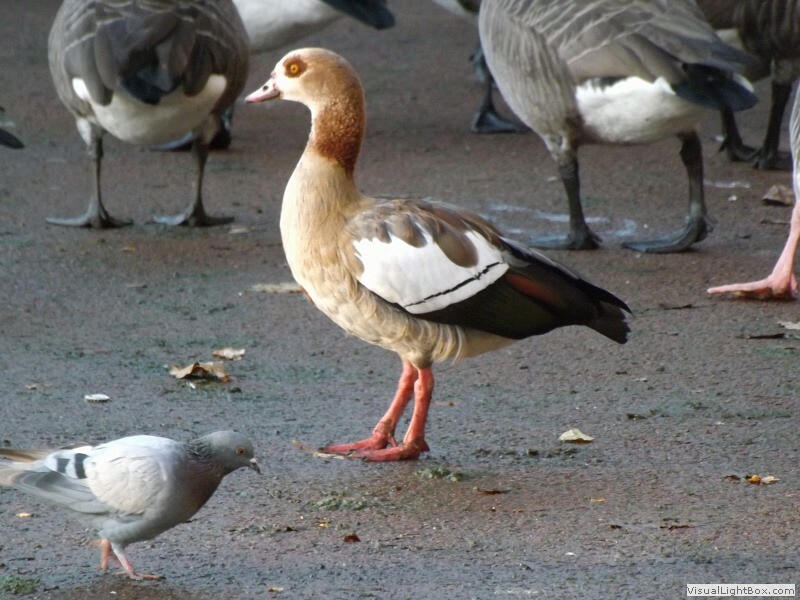 Appearance: - There is a lot of colour variation between individual Egyptian Geese. 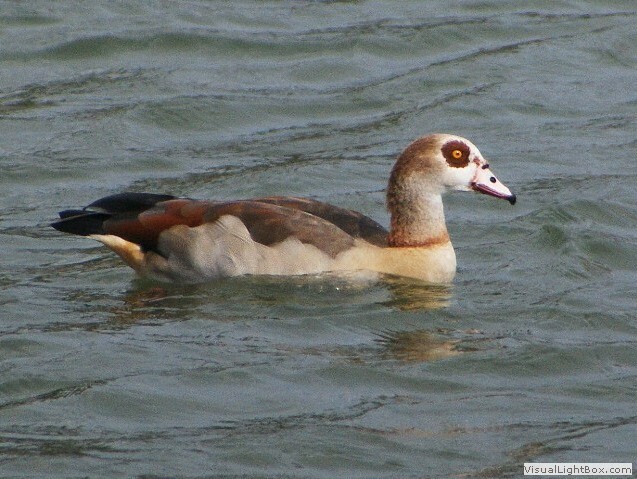 The head and neck is pale grey with sides and crown being mottled brown, a reddish-brown ring around the lower neck, and large dark eye patch, pink beak, upperparts are reddish-brown with fine black vermiculations, scapulars are dusty brown, rump and tail are black, undertail is cinnamon coloured, wing coverts are white with a black line, primary wing feathers are black, the secondaries are metallic green, and legs and feet are pink. 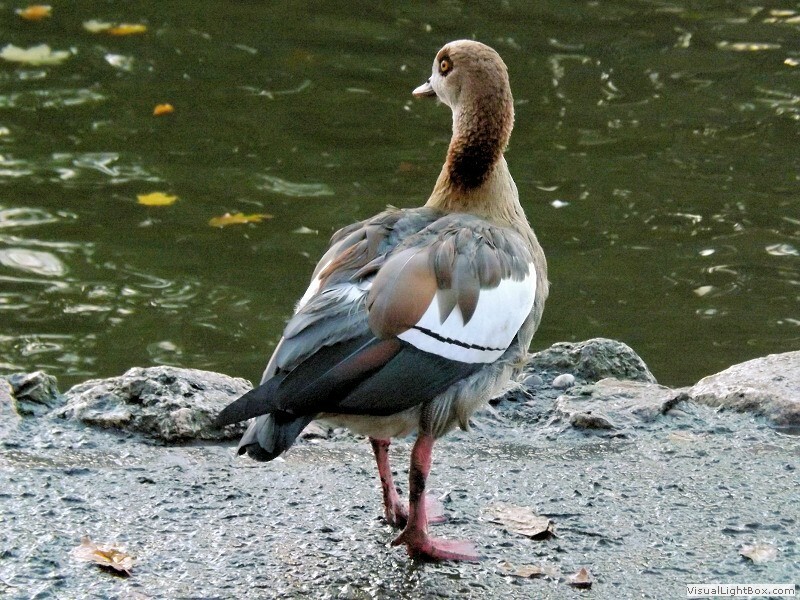 Both sexes are alike but the male is usually larger. Size: - Typical Adult is 63-73cm (25-29in). Food: - Vegetable matter, leaves, seeds, plant stems, grasses, crops such as wheat. Occasionally will eat insects, worms, and small animals. 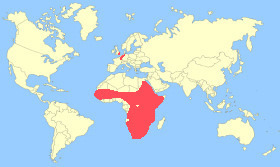 Habitat/Range: - Wetlands, lakes , marshes, and rivers in Africa, south of the Sahara, and in the Nile Valley. 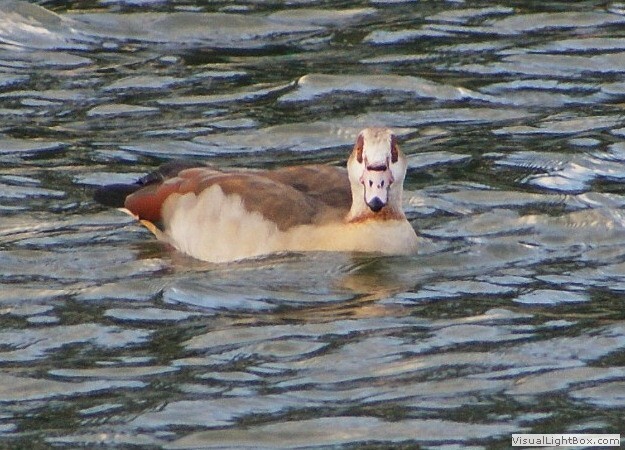 Also introduced into East Anglia in the UK and the Netherlands. Breeding Season: - July to March, or September to October further south. Eggs: - 3 to 5 (creamy-white colour). 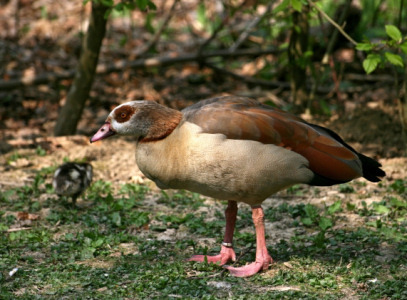 Notes: - The Egyptian Goose is actually a member of the Shelduck subfamily (Tadorninae). 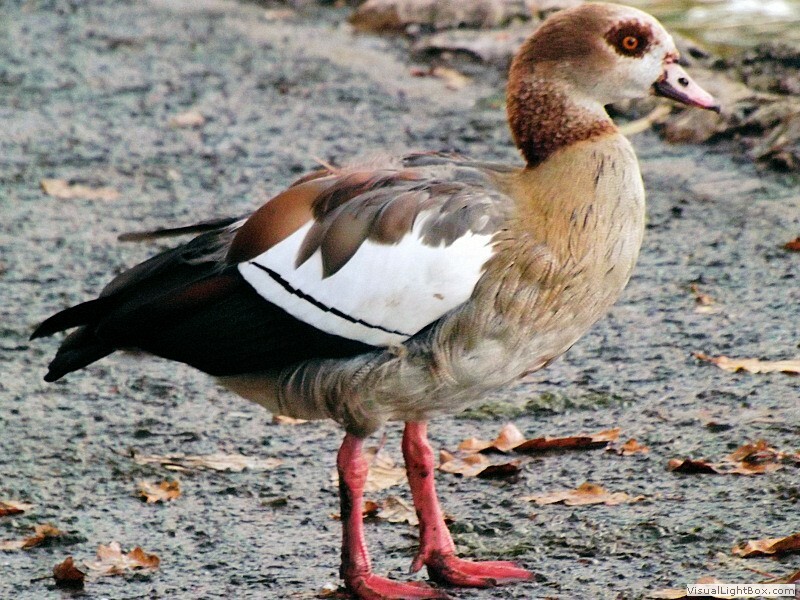 This goose was considered sacred by the ancient Egyptians and featured in much of their artwork.